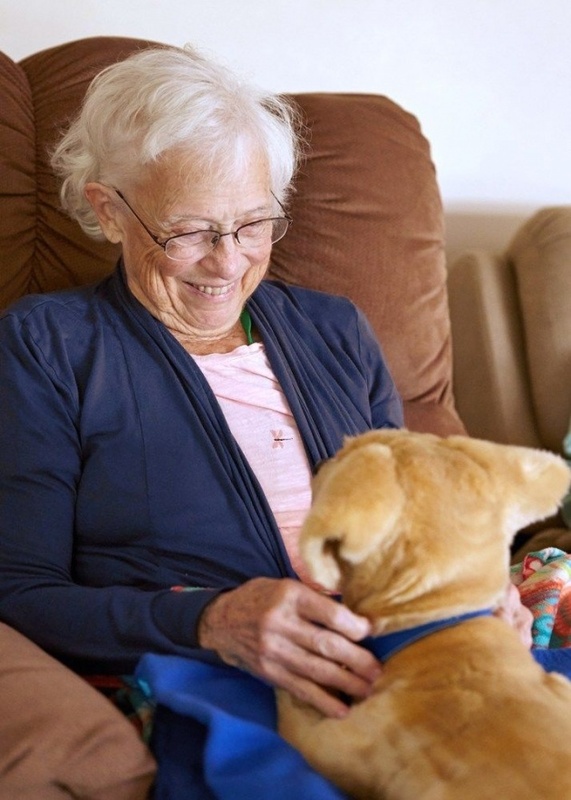 Scientists estimate as many as 97 percent of seniors with dementia suffer from behavioral and psychological symptoms of the disease (BPSD), and studies have shown that such symptoms can be reduced if they can form an emotional attachment, particularly to an object or animal. Looking to make a significant difference in helping seniors struggling with dementia, Tombot, Inc., has created a realistic robotic animal companion that provides seniors with a stronger sense of control, connectedness, and purpose, ultimately reducing their symptoms, the need for psychotropic medications, and improving their overall quality of life. Following multiple rounds of consumer testing with groups of up to 700 seniors with Alzheimer's and other forms of dementia, the team at Tombot concluded that a robotic animal with a hyper-realistic appearance, feel and behaviors had the highest capacity to elicit an emotional attachment with seniors suffering from these debilitating diseases. To achieve that level of realism, Tombot realized a whole new type of robot would need to be invented. Tombot selected Jim Henson's world-renowned Creature Shop to provide the artistic design services for their robots.